The steeplechase is a special gallop horse race. It normally takes place in Hippodrome and the path is composed of various types of obstacles. The most important races in the world, are traditionally three: the Grand National (Liverpool, England, Aintree Racecourse, early April), the Maryland Hunt Cup (Glyndon, Maryland, United States, end of April) and the Velka Pardubicka Grand Steeplechase ( Pardubice, Czech Republic, early October). Sunday, May 8, 2016. Grand Steeple Chase in Milan San Siro. 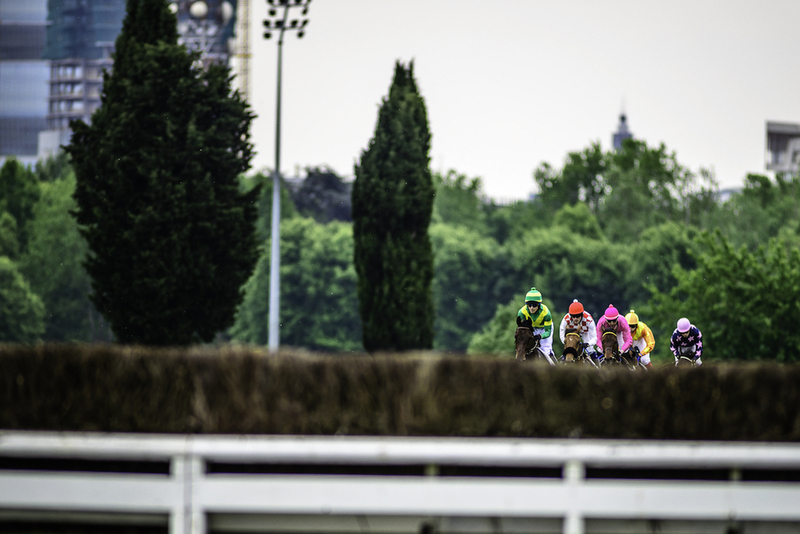 With its 60,000 Euros in prize money, it is the richest race in the year that hurdles to the racecourse of Milan: it is classified as "Group 1" and can be considered among the most difficult of the whole career for a horse specialized in steeple chase . The Grand Steeple Chase 2016 was held on the challenging distance of 5,000 meters, very long unlike other racecourses, the need to resume the pace of galloping after every obstacle requires qualities of power, endurance and speed. One of the obstacles, the big left oxer - despite being "softened" - is considered among the most difficult in Europe. The wild nature of Dior.